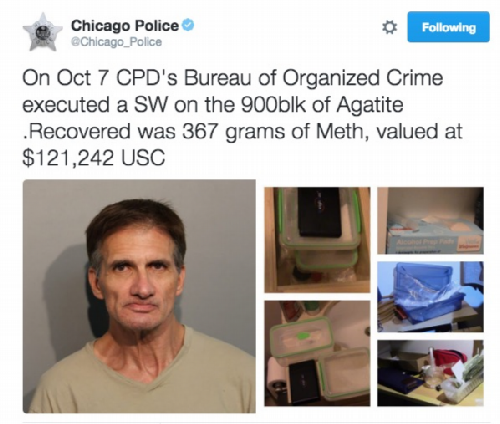 From the Chicago Police Department's Twitter account: "On October 7th, CPD's Bureau of Organized Crime executed a search warrant on the 900 block of Agatite. Recovered was 367 grams of meth, valued at $121,242 U.S. Currency."